The National Disaster Mitigation Agency said the latest quake has the potential to trigger a tsunami. Indonesia’s Disaster Mitigation Agency said the number of casualties could increase. 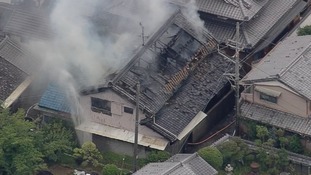 A nine-year-old schoolgirl was among the victims around the city of Osaka. It comes more than a decade after the Market Rasen 5.2-magnitude earthquake. A military helicopter assessing damage after a powerful earthquake in Mexico has crashed, killing 13 people. Crowds of people gathered on central Reforma Avenue in Mexico City as the ground shook. Rescuers are searching for survivors in Taiwan after the area was hit by an earthquake which has killed at least six people. The quake struck in the sea on Tuesday night about 125 miles north-northeast of Honduras. Mexico's navy says there are no missing children at a collapsed school where rescuers have been hunting for a trapped girl. 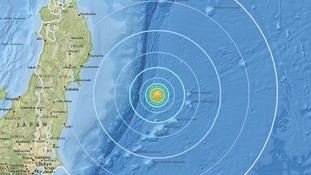 A 6.1 magnitude earthquake has struck off the coast of Japan.